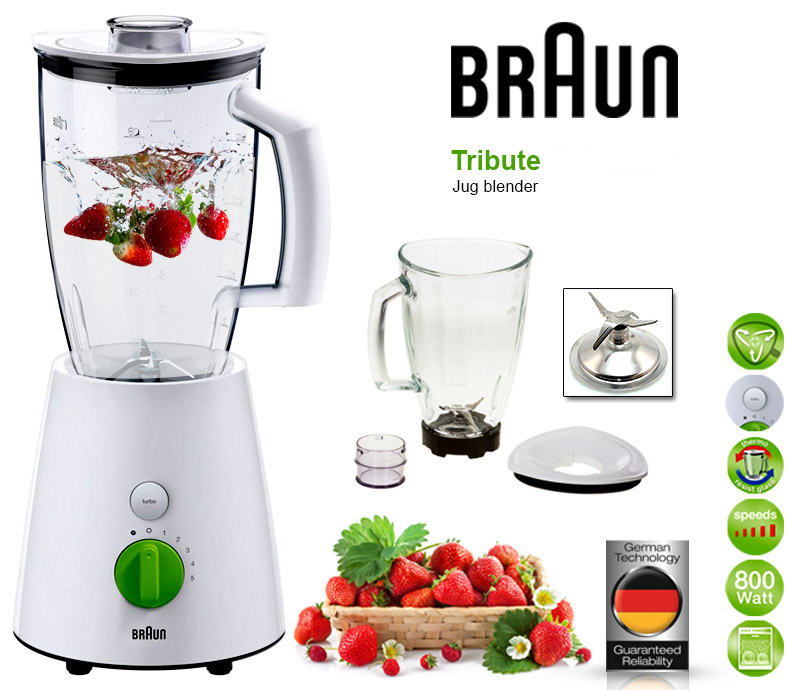 Braun JB3010 Tribute Jug Blender, 5 Speed, Removable Stainless Steel Blender Knife, Blender Jug: Triangular BPA Free Plastic, Pulse Button, Turbo Speed Retail Box 1 year warranty. Retail Box 1 year warranty. For efficient blending circulation – creates both a horizontal and vertical flow, which increases efficiency and delivers best blending results. Choose your speeds for more precise blending.